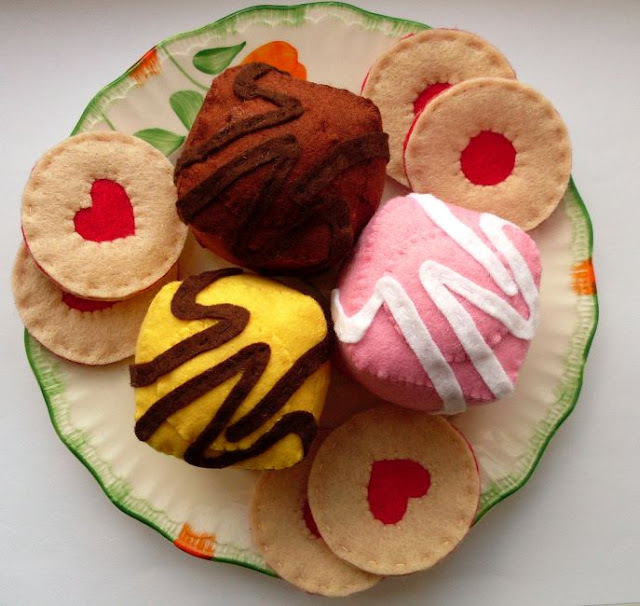 Bugs and Fishes by Lupin: Make Felt Fondant Fancies! Every month this year I'm sharing a free pattern with my newsletter subscribers, and April's project is all about cake! 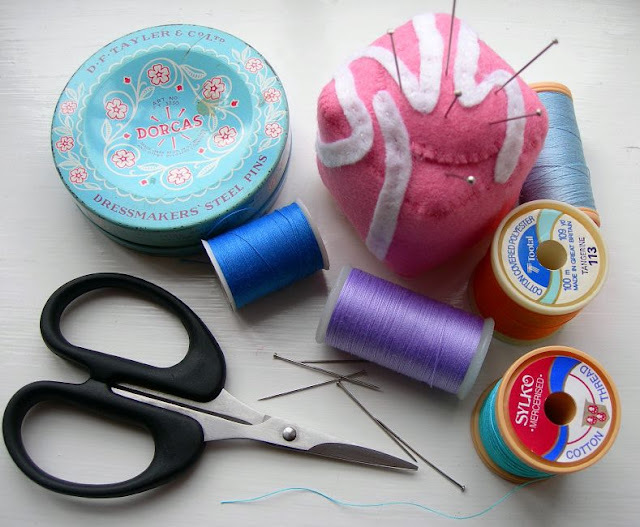 April's tutorial will show you how to sew a felt fondant fancy to use as pincushion, display with your favourite vintage china, or give as a quirky gift to a friend with a sweet tooth. I send out my free email newsletter about once a week, with updates of what I've been making and doing lately and links to my latest blog posts and tutorials and lots of creative and colourful things to inspire you. Every email I send in April will include a link to download the step-by-step felt fancies pattern. UPDATE: My newsletter has moved! Click here to sign up and see this month's free pattern. P.S. Want some more teatime-inspired tutorials? Click here to make felt jammy biscuit brooches, and click here to make felt iced biscuit brooches.